This interactive work is festive indeed, because, wherever you move, a light starts to sparkle above. The elements react to our presence and – as at a birthday party – it doesn’t end there. The lighted elements start moving and before you know it they touch each other. The cheerful, informal work is characteristic of Studio Toer. 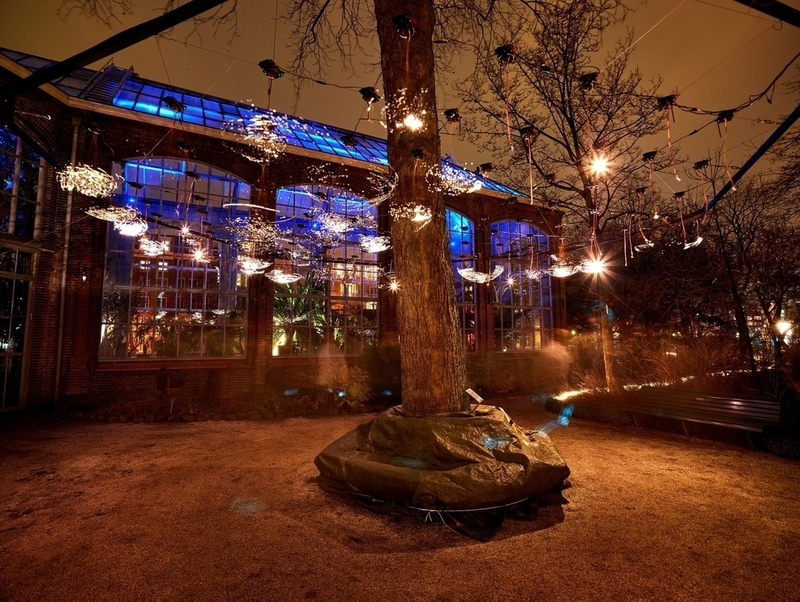 Social Sparkles at Amsterdam Light Festival - Toer from studio toer on Vimeo. Industrial designer Wouter Widdershoven and artist Castor Bours have been working as Studio Toer since 2007. In their work, they explore the boundaries between product and spatial design, and in their explorative design projects search for new interventions. Their kinetic works are characterized by the use of subtle materials and a clear visual language.